Winmate releases an update to our standard Industrial Panel PC and Box PC product lines featuring the new Mini-ITX Motherboard IK70 with Intel® 7th Generation Core i7/i5/i3 CPUs. 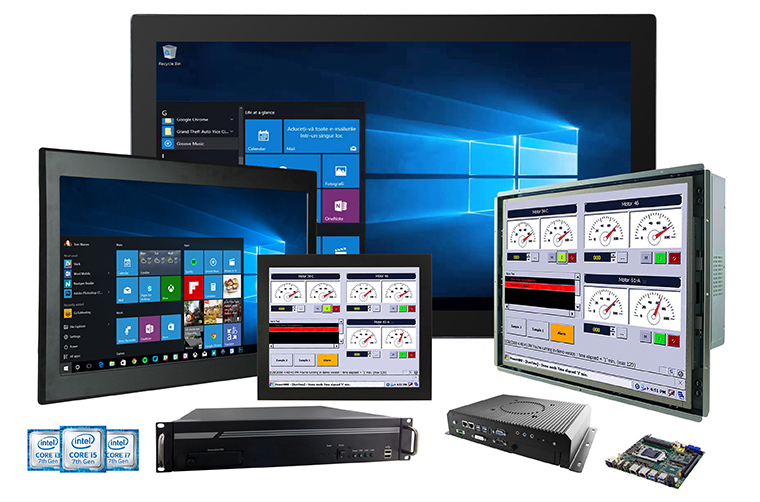 No matter your Panel PC application, Winmate has your high-performance needs covered – with Open Frame, Chassis, IP65/NEMA 4, and Panel Mount Panel PC options. This performance update allows for the fastest processing with blazing fast speeds for even the heaviest users. Other hardware upgrades for this generation of Panel PCs and Box PCs include the change to DDR4 2400 SO-DIMM RAM for increased speed, along with the addition of HDMI and DisplayPort video ports.